One of Barbara Hoyle’s memories of her first visit to Mexico almost 20 years ago was the singing of birds. “My first impression off the plane was that the airport was a good size, the people were friendly, and driving away from the airport at 5:30 a.m., how wonderful the sound of the birds was,” she says. After that initial visit, Barbara, 66, from Sacramento, California, started thinking about retiring to Mexico. And on Christmas Day 1999, a year after she first visited the country, she stepped off another plane—this time for good—and immediately felt completely at home. Although she had previously visited her brother in his home in Loreta, Mexico, Barbara and her husband Michael had never been to Chapala in the state of Jalisco before she found her preconstruction home there via an online real estate agent. She flew down there over her Christmas vacation to view the property, put it into escrow, and flew home on New Year’s Day. That home was custom built for her and cost just $85,000. At 1,100-square-feet, it consists of two bedrooms, two bathrooms, three skylights, and an indoor patio. 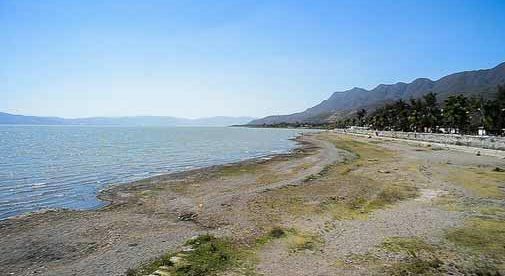 Around half an hour from an international airport, Lake Chapala is easy to get to. 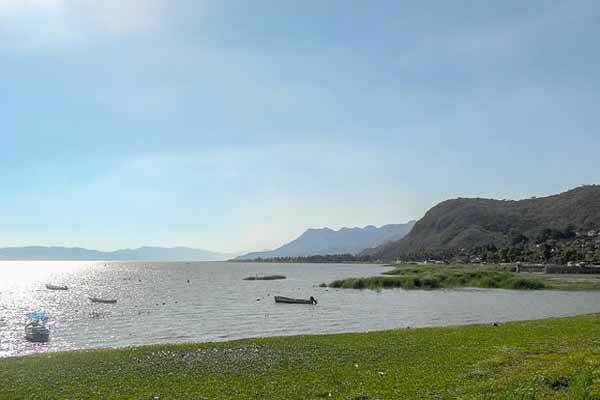 Barbara chose Chapala because of “the climate—hot between April and July, mild the rest of the time, it mostly rains at night and is sunny in the day, the lake, and the location within Mexico” (specifically, 28 miles from the city of Guadalajara in the west of the country). Having paid outright for the house, Barbara and Michael’s living costs are low—just $80 a month for utilities like internet, cellphone, electricity, and propane gas. Living around Lake Chapala is easy. With its large expat community, finding social activities to keep busy isn’t a problem. 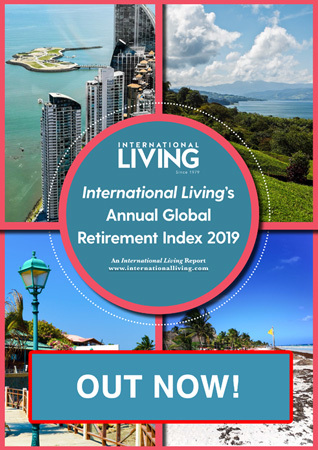 According to Barbara, all the villages in the area are full of people from every corner of the world, and the local Chapala Society has a membership of at least 2,000 expats. As for eating, Mexico is well regarded for its cuisine, and in Barbara’s opinion, the restaurants nearby certainly live up to that reputation. Something that many expats want to know before they think about moving overseas is what flight links to their home country are like. Guadalajara is the closest international airport to Chapala and there are daily flights in and out of the main U.S. airports. Back at ground level, things are a little more sedate. Local transport moves at a slower pace, just part of the colorful laidback culture that typifies small-town Mexico. “Driving the narrow roads here takes patience as there are potholes, lots of foot traffic, and occasionally a road is totally blocked as a family celebrates their deceased for a week at a time right in front of the residence of the dead,” says Barbara. But there are upsides to that slow pace too. “We enjoy the horse traffic on our cobblestone streets and the easy laughter of the children attending schools. The nightly rains freshen up the air and we get a cool breeze off the lake most nights. “We live stress-free,” Barbara says. It’s a fair reward.